LIS / Pachygyria Grading Images – Including Corey’s MRI – Making Connections. Finding Solutions. Lissencephaly grading scale, with accompanying MRIs. This image shows grades 1-4, out of six total grades. Not shown, Grade 5 is mixed pachygyria and subcortical band heterotopia (SBH). Grade 6 is SBH only. These are 2 views out of 1000 on the MRI CD. They may not be exact to the same view cuttings as above but close. 3. Frontal Lobe extends from the frontal pole of the brain to the central sulcus. Since it lies mostly in the anterior cranial fossa, it’s lower surface is shallowly concave to fit the orbital roof. Some distance behind the frontal pole a prominent fissure, the lateral sulcus separates it from the temporal lobe. 4. Parietal Lobe lies between the frontal, temporal, and occipital lobes. It is separated from the frontal lobe by the central sulcus. Similarly, it is largely separated from the temporal lobe by the lateral sulcus, but at the end of the sulcus, parietal, temporal, and occipital lobes are confluent on the lateral surface of the hemisphere. 13. Lateral Ventricle is an irregularly shaped cavity located within the lower and medial parts of each cerebral hemisphere, one on each side of the midline. The two ventricles are separated from one another by a thin median vertical partition, the septum pellicidum. Each communicates with the third ventricle and thus indirectly to each via the foramen of Monro. 14. 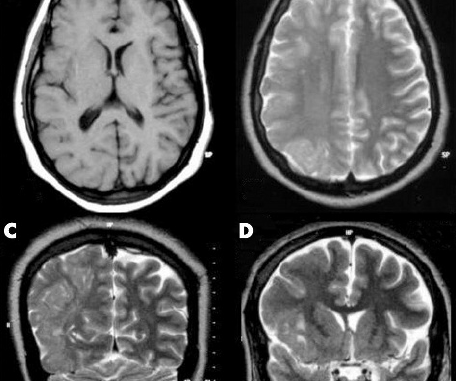 Caudate Nucleus is an elongated mass of gray matter that is closely related to the lateral ventricle. Around the rostral border of the internal capsule, it is fused with the putamen of the lentiform nucleus while its tail terminates in close relationship to the amygdala. 15. Putamen is the largest part of the basal ganglia and its most rostral part is located lateral to the head of the caudate nucleus, being separated by the anterior part of the internal capsule. It is the larger part of the lentiform nucleus which is comprised of the putamen and globus pallidus. 16. Genu/Splenium of Corpus Callosum consists of fascicles of myelinated fibers whose main function appears to be the transmission of information between the neocortical portions of the two hemispheres during the learning process. The genu represents the curved anterior portion while the splenium is situated dorsal to the pineal body. 22. Third Ventricle is a narrow, vertical, median cleft between the thalami of the two hemispheres. It communicates with the two lateral ventricles by the interventricular foramen. Caudally, it communicates with the fourth ventricle through the cerebral aqueduct. 23. Frontal Sinus are situated behind the superciliary arches, are rarely symmetrical, and the septum between them deviates to one side or another of midline. Absent at birth, the frontal sinuses are fairly well-developed by the age of 7-8 years, but do not reach maximal size until after puberty. 73. Meningeal a. give off branches to supply extracranial structures adjacent to it. They may enter the skull through the foramen ovale to reach the meninges around the trigeminal ganglion. 34. Temporal Lobe is the part of the hemisphere that lies below the lateral sulcus. The back end of this lobe is continuous with the occipital lobe. 45. Cerebellum is located dorsal to the pons and medulla and occupies the space between the brain stem and the occipital lobes of the cerebral cortex. It is connected to the brainstem by three peduncles. Although this structure probably does not initiate voluntary movement, it appears to serve as a supersegmental coordinator of muscular activity, especially those that require sequential, repetitive, or coordinated movements. 72. Thalamus is the largest part of the diencephalon, but much of it is buried in the cerebral hemispheres. The thick right and left thalami are separated by the third ventricle.